What is the healthy eating in schools legislation? The food and drink provided in all local authority maintained schools must meet The Healthy Eating in Schools (Nutritional Standards and Requirements) (Wales) Regulations 2013 (‘Regulations’). These Regulations are based of the previous Appetite for Life guidelines and form part of the wider Healthy Eating in Schools (Wales) Measure 2009 (‘Measure’). The Regulations set out nutritional standards for an average school lunch and food and drink requirements throughout the school day. The nutritional standards specify minimum or maximum values for energy and 13 nutrients and apply to an average school lunch calculated over each week of a menu cycle. The food and drink requirements describe the types of food and drink that must be provided, restricted and not permitted between breakfast and 6pm. The Measure gave Welsh Ministers the power to make the above Regulations and places a number of duties on local authorities and governing bodies to promote healthy eating and drinking by pupils. Estyn have a duty to keep Welsh Ministers informed about actions taken at maintained schools to promote healthy eating and drinking. 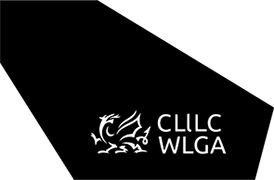 The Welsh Government have produced Statutory Guidance for Local Authorities and Governing Bodies to assist with the implementation of the above legislation. Why is healthy eating in schools important? There has been long standing concern about the number of children who are overweight or obese and the impact this has on health and wellbeing, especially in relation to reducing healthy inequalities. Poor diet is a major contributing factor. The food and drink provided in schools can make a positive contribution towards giving children and young people a healthy balanced diet and encouraging them to develop good eating habits. The aim is to achieve a whole school approach towards healthy eating and to encourage healthy attitudes to food and drink at an early age. Who is the Food in Schools Coordinator? The WLGA hosts a national Food in Schools Coordinator in partnership with the Welsh Government. The main role of the Food in Schools Coordinator is to support and advise local authorities, schools and contract caterers to achieve and maintain compliance with the Regulations. This involves overseeing nutritional analysis software, providing Certificates of Compliance and working alongside the Welsh Network of Healthy School Schemes and Estyn.